Malcolm Lewis is a self-taught decorative artist, designer and sculptor from Newcastle. With a free-spirited, creative flair, which he developed from a young age, Malcolm draws inspiration from organic matter and living creatures in order to design and create his quirky pieces that are truly one of a kind. His love of art quickly transformed into a love for crafting. Using predominantly wood and various metals, it wasn’t long before Malcolm had cultivated his own signature style. After honing his craft and learning to convert concepts into beautiful artwork and furniture, Malcolm found a way to bring both art and function together. Today, the work he produces is not just iconic and bursting with character, it is completely original. In 2011, Malcolm Lewis Designs was officially born and ever since, Malcolm has been designing, creating and crafting his functional art. All of his furniture and artwork are made by hand in his modest workshop in North East England. 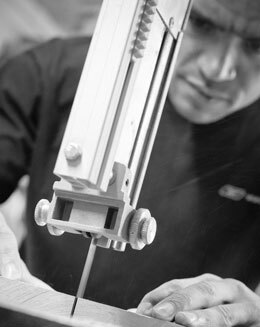 He has years of experience in the industry and applies a meticulous attention to detail to each and every piece he produces. This approach sets him apart from other decorative artists and ensures that the work he does stands out for all the right reasons. Known for creating not following trends, Malcolm’s surreal imagination allows him to push boundaries and experiment with the textures and finishes of his designs. You will quickly notice his unusual, tactile and bespoke functional art is recognisably his. Each piece is designed with high-quality, durable materials to ensure it will last for generations to come. What’s more, everything produced showcases its own character and personality, meaning no two pieces are the same. If you’re struck by Malcolm’s work and would like to speak to him about a commissioned piece, please click here to find out more.